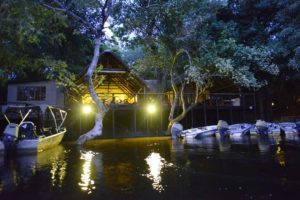 At the confluence of the Zambezi and Chobe Rivers, in the heart of real Africa, lies a special Lodge: the Ichingo Chobe River Lodge, also known as “The Gem of the Chobe”. Ichingo is a luxury African Lodge providing the ‘All Africa’ experience in one of the world’s finest wetland areas with spectacular game and bird viewing, and the opportunity to land a mighty Tigerfish. 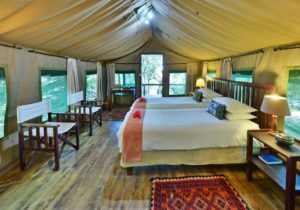 ICHINGO is a luxury tented lodge accommodating a maximum of sixteen guests in large twin bedded Meru tents, each with cupboards, tables, electric lights etc, plus its own private thatched en suite bathroom and balcony. All tents overlook the river with the main lodge buildings being built over the river and consisting of a lounge and bar with a separate dining room, all under thatch and situated under large shady trees. There is a wide range of activities available at Ichingo. 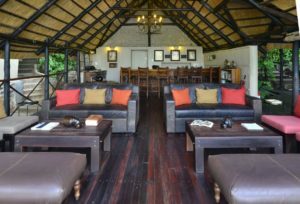 Whether you love nature, adventure, or simply relaxing in tranquil bush surroundings, you will find something to suit your preferences. 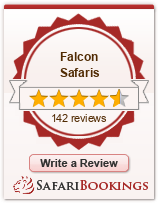 From game viewing, fishing, mekoro excursions, white water canoeing, guided walks and bird watching, Ichingo has it all!